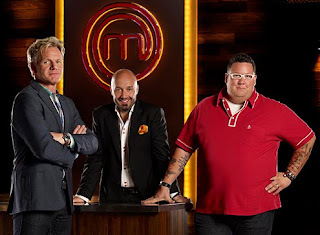 MasterChef makes its FOX debut this Tuesday night and I have to admit that I'm actually looking forward to it. Co-produced and hosted by chef and FOX staple Gordon Ramsay, U.S. MasterChef will be based on the popular Australian version of the culinary competition series. The basic setup: 50 amateur cooks (selected following a nationwide casting call) compete in various challenges week to week until a new "MasterChef" is crowned. Gordon will be joined on the judging panel by restaurateur/winemaker Joe Bastianich and Chicago chef/restaurateur Graham Elliot Bowles (who competed in both seasons of Top Chef Masters). 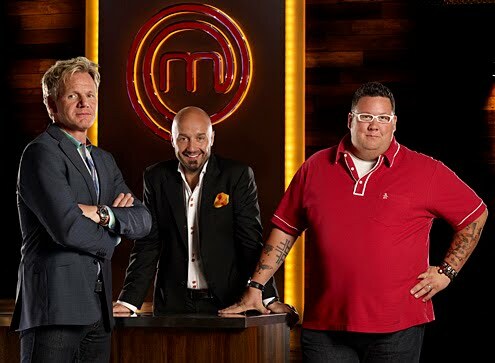 Now, I haven't been that crazy about the Foxification of Ramsay's other shows (Kitchen Nightmares comes to mind, and I thought that Cookalong special was lame), but I'm feeling a bit optimistic about U.S. MasterChef (call me crazy). While I've watched some of the UK variations of MasterChef (I'm a fan of The Professionals series and was pleasantly surprised by what I've seen of the Celebrity version), I've never watched the Aussie version which Fox's show will be based on. 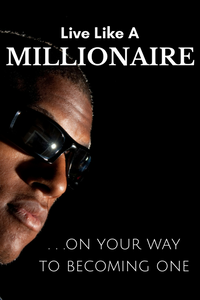 I'll be tuning in on Tuesday night-don't disappoint me Fox. MasterChef premieres Tuesday July 27 at 9 PM EDT on FOX.